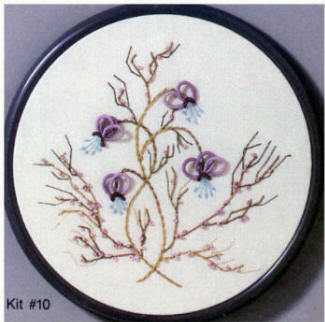 These 12 Beginners Brazilian Embroidery Instruction kits include printed, Cream, poly/cotton fabric, called "Trigger" or "Blazer Poplin", in which the designs have been printed with water soluble ink. 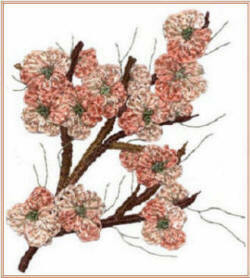 The intended finished size is 6" x 6". 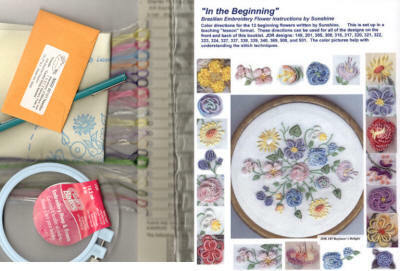 Each kit also includes the EdMar threads, complete teaching instructions, and milliners needles #3, 5, 7 or darner- depending on the weight of the thread used. 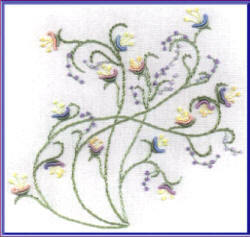 In these Brazilian embroidery teaching kits, we work with EdMar 100% rayon Z Twist Thread. Glory (fine weight in all kits). 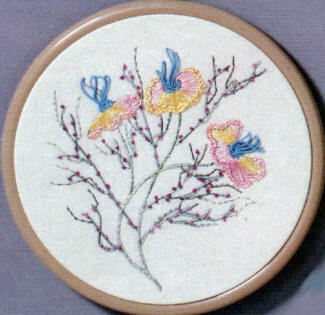 It is important for beginners to Brazilian Embroidery to use the kits in the right sequence as building blocks. Some of the basics are not repeated in the other kits. 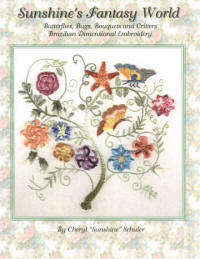 All JDR teaching kits are featured in the book "JDR Brazilian Embroidery Book 1" by Ria Ferrell or "In The Beginning" Book by Sunshine, if you need a refresher. Kits with new stitches are: #1, 2, 4, 5, 6, 8, 11, and 12. 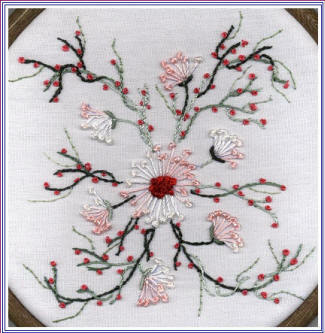 Kits #3, 7, 9, and 10 reinforce, expand and change the layout of the stitches already learned. 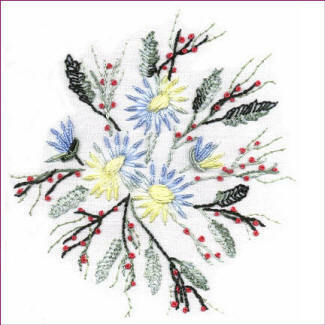 This embroidery design print has included: EdMar threads, embroidery needles that are required, Brazilian Embroidery directions in a teaching format, and trigger fabric print. 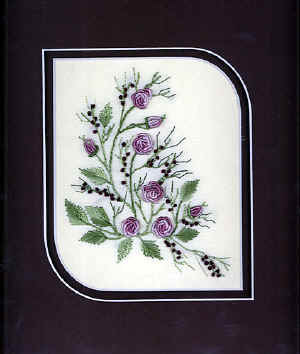 Choose from WHITE or Cream/cream fabric. Directions & screen printed trigger fabric print. and screen printed trigger fabric print. Includes Directions & screen printed trigger fabric print. Included: EdMar threads, embroidery needles that are required, directions in a teaching format, and screen printed trigger fabric print. ♥JDR 317 Lazy Daisy Directions & screen printed trigger fabric print. 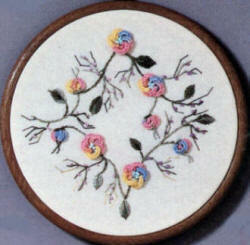 ♥JDR 316 Rolled Roses Directions & screen printed trigger fabric print. 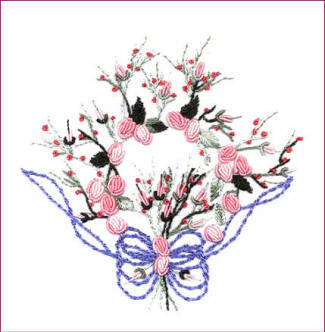 Carnation Included: EdMar threads, embroidery needles that are required, directions in a teaching format, and screen printed trigger fabric print. 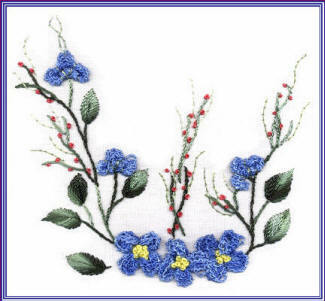 A special "Thank You" to Maria Red Elk for supplying us with some new pictures of the above designs that she has stitched! 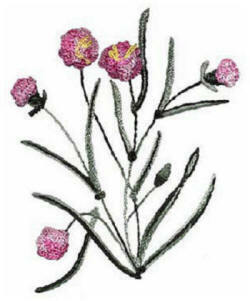 20 page booklet of color directions for the 12 beginning flowers written by Sunshine. This takes you beyond the book by Ria Ferrell. This is set up in a teaching "lesson" format. 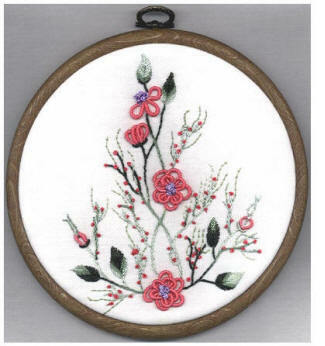 The color pictures help with understanding the stitch techniques. Like this thread packet? Click on the picture for more information. A great group of threads for the beginner.